Licensed practical nurses (LPN) use their professional training, compassion, and intelligence to provide direct care under the supervision of registered nurses and physicians. As an integral part of the healthcare team, LPNs must demonstrate a commitment to public health and safety and to maintain the high standards of the profession. They work in a variety of settings, performing functions such as taking vital signs, administering and monitoring medications, providing bedside care and wound care, inserting catheters, supervising CNAs, and promoting community health. The Virginia Board of Nursing’s commitment to safe patient care is evident through the Board’s initiatives surrounding the licensing of health professionals, including practical nurses. The Board also enforces standards and educates the public on quality care. Individuals seeking to become licensed practical nurses in Virginia must do so through examination or endorsement. Since 2005, Virginia has been a member of the Nursing Licensure Compact that allows nurses licensed in other NLC states to practice without obtaining another license. There are approximately 70 Practical Nursing training providers with full approval from the Board to prepare students for the NCLEX-PN. Various institutions, such as vocational schools, high schools, community colleges, and private institutes, all provide a minimum of 400 hours of supervised direct patient care plus classroom instruction in accordance with the Board’s requirements. Practical nursing programs provide instruction that prepares graduates to meet the health care needs of ill, injured, disabled, or convalescent patients. According to Board’s regulations, the programs should emphasize safe, empathetic, and effective health care in a culturally diverse society. Instructors accomplish this objective through instruction in simulated labs, relaxed and interactive classrooms, and real-world experiences in hospitals, nursing homes, and community clinics. The curriculum will vary from one provider to the next, but should include general education and the essential core courses in the areas of mental health nursing, maternal nursing, pediatric nursing, integrated nursing concepts and principles. Other topics include anatomy and physiology, geriatric nursing, nutrition and diet, pharmacology, and trends in nursing. Requirements for enrollment may include an official high school transcript or GED scores, college transcripts (if applicable), success on a placement test, CPR, TB test, criminal background clearance, drug screen clearance, two letters of recommendation, and immunization. The admissions coordinator may also require applicants to attend an orientation session and pass an admissions interview. At the conclusion of the training, students will have the educational foundation to pass the NCLEX-PN for licensure in Virginia. Duration and Cost of Training: At an approximate cost of $15,000 for tuition, plus a further $1,500 for textbooks, uniform, supplies, and administrative fees, LPN training in Virginia is not inexpensive. Fortunately, there are several programs, such as the Virginia Health Workforce Development Authority (VHWDA) and the Virginia State Loan Repayment Program (VA-SLRP) that help with funding. Grants are available through VHWDA. The Office of Minority Health and Health Equity in the Department of Health offer several scholarship opportunities to qualified nursing students. If you do not qualify for a scholarship or grant, you can apply for federal funding through the VA-SLRP. Contact the respective agencies for eligibility requirements. Practical nursing students complete the educational requirements in 12 to 18 months. Passing the NCLEX-PN is very likely at the forefront of every practical nursing graduate’s mind. The 85-question exam could increase to 205 questions depending on the candidate’s responses. It is important to pass the exam on your first try if you want to avoid paying another fee and repeating the entire process. Your success on the exam begins with your choice of nursing schools. Apart from enrolling in a Board-approved program, you should check the school’s NCLEX-PN pass rate, which is a reflection of the school’s training. It is also critical to review the Candidate Handbook for information on preparing for the exam, the steps for applying, and what to do and bring on exam day. Pearson Vue, the approved administrator of the exam, facilitates applications over the web, postal mail, and phone. The registration fee is $200, payable via credit card or debit card on the internet or over the phone, or via check or money order by mail. The application to Pearson Vue works in tandem with the application for licensure with Virginia’s Board of Nursing. Therefore, you should submit both applications simultaneously, using the same name on both applications. The Board will review your eligibility to test, and will notify Pearson Vue of its decision. Pearson Vue will then mail the Authorization to Test letter, which is an authorization to schedule the test within 90 days. Take a copy of the letter and a valid state picture ID to the testing center on the scheduled date. The Board will confirm your licensure if you pass the exam. You will receive a breakdown of your scores if you fail the exam. Virginia defines a licensed practical nurse as an individual who holds a state license to perform selected nursing acts in the care of injured, ill, or disabled persons for compensation. State LPNs must acquire the knowledge, judgment, and skill in nursing procedures through completion of a Board-prescribed education program. Program graduates must take the NCLEX-PN to obtain state licensure before practicing under the direction of registered nurses and physicians. Following are the steps for submitting an application for licensure to the Board of Nursing. The Board accepts initial applications for licensure through the online system only. Register with Pearson Vue to take the NCLEX. Registration is available online, by mail, or by telephone (1.866.496.2539). For online or over-the-phone registration, you must pay the $200 registration fee using a credit or debit card. A cashier’s check or money order, payable to NCSBN should accompany all registration forms sent via the mail. The name you use to register with Pearson Vue should match the name you submit for licensure and the picture ID you’ll use for admission at the test site. The application fee for state licensure is $170 – paid via credit or debit card during the online application process. Provide an accurate address where the Board can mail communications. Submitting the form certifies that the information you provided is true and complete. False or misleading information may be grounds for denial of your request for licensure and disciplinary actions taken against an existing license. Only applicants with proof of high school completion (or GED equivalency) and a diploma from an approved nursing program will be eligible for licensure. Disciplinary actions administered in Virginia or another state may disqualify a candidate from registration. Virginia joined the Nurse Licensure Compact in 2005, giving LPNs with licensure in other NLC states the opportunity to work without need of an additional license. If you’re licensed in a state outside of the compact area, you can apply for licensure by endorsement. Candidates who are licensed by examination in another state within the US must apply for licensure through endorsement. The same applies to an individual who is scheduled to take the NCLEX exam in another state. For special cases, (educated in a foreign country, etc. ), you should contact the Board at (804) 367-4555 for advisement before submitting an application. All requests for licensure by endorsement must go through the Board’s online portal. Read the application questions carefully before submitting your responses. Determine if your original state of licensure uses Nursys for license verification. If not, you must use the license Verification Form. For the Verification Form, you must complete to first segment on the form and have the Board of Nursing in your original state of licensure fill out the details of your education and licensure, and mail directly to the Virginia Board of Nursing – address provided below. Disclose all disciplinary actions and criminal convictions and supply the requested accompanying documents and a written, detailed explanation. Pay the registration fee of $170 using a credit or debit card. LPNs must renew their licenses biennially. The Board will mail a renewal notice 4 to 8 weeks before the expiration date. However, your failure to receive the notice should not be an excuse for non-renewal or late renewal. It is illegal to practice nursing during the period when your license is in a lapsed status – as a practitioner you will be subject to penalties for this violation. Visit the Board’s website to renew your license online after receiving the Board’s notice. Follow the on-screen instructions and answer all questions. Submit the non-refundable renewal fee of $120.00 using your credit or debit card. The fee for late renewal is $40. Update your address if it needs updating. Beginning August 2015, all licensed practical nurses must attest to completing the continued competency requirements during the preceding two-year period. The Board does not require proof in the form of documents, but nurses should maintain the documents for two years following each renewal. Virginia’s population is expected to grow by one million over the next two decades. The population will also age, so 16% of the residents will be 65 years and older in the next decade. A long range supply and demand study of the nursing workforce helps the Department of Health determine whether there will be an adequate supply to meet the growing demands in healthcare. According to the HRSA, the LPN workforce will increase steadily between 2008 and 2028 as individuals respond to the projected demands in the industry. In smaller cities, the supply is expected to exceed demands, forcing LPNs into larger cities to help curb shortages. The location, scope of practice, and area of practice are what determine demands for LPNs. Fortunately, employers prefer to utilize the services of multiple LPNs (under the care of one or two RNs) compared to multiple RNs as a cost cutting measure. Virginia’s LPNs earn a median annual salary of $37,950 or more. Future demands for their services depend on the settings – the greatest demand is in long-term care. LPNs can increase their salaries and work in a wider range of settings through further education to become Registered Nurses. Are there any online LPN to RN programs that are accredited in VA? 6 months from graduation! I hate when people tell me I should have just went for my RN! Well said Tiffanie Johnson Lpn. Greedy people forget that. Yea, but what they don’t tell you is that they’re trying to phase out nurses who don’t have at least a BSN. No completely wrong. You can work anywhere. All my local hosp hire LPNS. Melaina Lynne Mitchell that will never happen you have no medical experience to transfer. I was a CNA first , you dont realize what goes into being a nurse till you do it. You have nothing to tranfer to an LPN program to benefit you. I would have to disagree. CNAs have to do vitals, patient care, make beds, etc…, basically everything they teach us in fundamentals, which is taught in the first semester of nursing school. Yes but not enough to make a program out if it, its all things you should be able to do without having to be told, if you can bath yourself you can be a cna. And that would be great if you could. But 3 weeks of patient care is not enough to transfer to a program. When i started my RN they barely give you credits for already having your LPN not much available to transfer from a CNA . Im not saying that would be great but way more involved and doubt we ever see that happen. That’s all im saying. If you wont credit much for LPN how you gonna credit for a CNA. i pass meds as well….. This mentions RN. But, it slso mentions working in Rest Homes and maybe a Doctors Office. You need to check for accreditation. This is something to look at and may help you. Talia Clews Lymaster I work as an CNA and the only thing I can’t do is pass meds, insert foleys, but I do put in IVs, take out foleys, wound care, vitals, blood sugars, patient care, charting and so some CNAs have a little more medical background than others, I believe I could bridge over fairly well if given the chance. I’m just making a statement. I’ll bet they use stethoscopes! 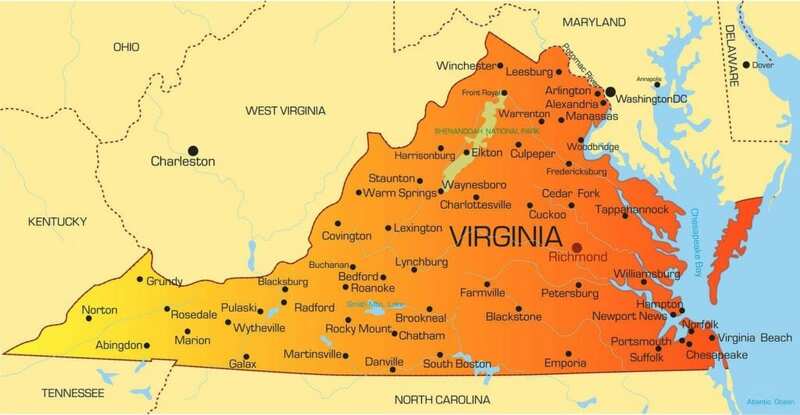 Where in va are you ? I would so love to do this!